A new report finds that housing abandonment and blight from the foreclosure crisis has split Cuyahoga County into two housing markets, generally divided along racial lines. 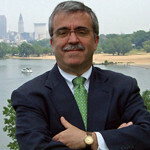 Frank Ford, senior policy analyst for Western Reserve Land Conservancy, recently issued the report entitled Housing Market Recovery in Cuyahoga County: Race and Geography Still Matter. 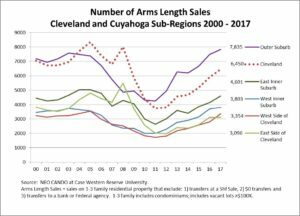 Ford analyzed housing market trends in more than 90 Cuyahoga County suburbs and Cleveland neighborhoods in addition to five Cuyahoga County regions. In the majority white Outer Suburbs and Western Suburbs, where fewer foreclosures occurred, the housing market has nearly fully recovered. In the majority African American East Side of Cleveland and East Inner Suburbs, housing prices have recovered only 31% and 60% respectively. This translates to a tragic loss of equity for homeowners in these communities. 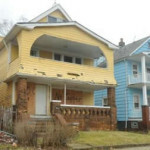 Demolition and blight removal efforts are having a positive impact, but there are still an estimated 5,426 blighted homes (4,495 Cleveland, 731 East Cleveland, 200 balance of the suburbs) that are undermining the Cuyahoga housing market. A disproportionate amount (83%) of these homes are in two majority African American communities: the East Side of Cleveland and the suburb of East Cleveland. 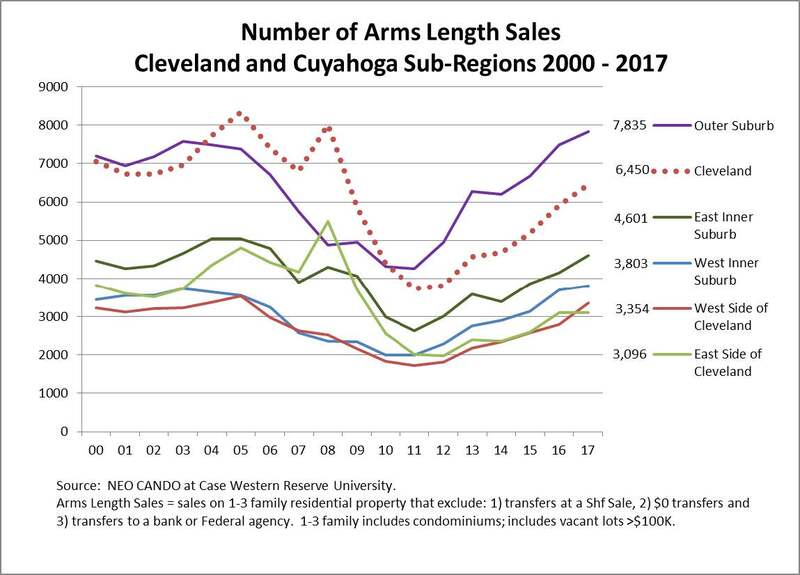 Home prices in the East Side of Cleveland were comparable to the West Side in the early 2000s; they are now less than half the value of the West Side due to a disproportionate volume of foreclosure and abandonment on the East Side. Cuyahoga property tax delinquency has dramatically increased over the past 8 years from $89 million to $227 million, but the loss of tax revenue has disproportionately impacted the majority African American communities in the East Side of Cleveland and the East Inner Suburbs. This also means a disproportionate loss of revenue for schools, police, fire and social services in the communities struggling the most to recover. Irresponsible lending led to foreclosure, abandonment and finally plummeting home sale prices in the majority African American communities; the irony is the lending industry now appears uninterested in making home purchase loans on home sales below $50,000. These markets are becoming “cash markets” that attract rental property investors who can pay cash for properties. There are similar findings for home repair lending. The regions of the county in most need of rebuilding their housing markets, the East Inner Suburbs and the East Side of Cleveland, have the least access to home repair loans to maintain their housing. “The fact that there is such a disparate impact on majority African American communities is something that public officials and policymakers should discuss and incorporate into their planning and decision-making in order for our communities to really thrive,” Ford added. 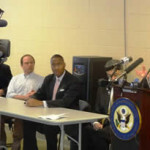 Cuyahoga County has recently initiated an aggressive program to reach out to delinquent property taxpayers to offer payment plans and provide financial counseling. The Cuyahoga Land Bank is partnering at a high level of efficiency with the County Prosecutor and County Fiscal Office to move distressed and blighted properties to either demolition or productive reuse. The most severe blight has now been substantially reduced in the suburbs – with the exception of East Cleveland. Median home sale prices are beginning to respond to the removal of blight that has been undermining the housing market; they are on an upward trajectory, albeit slow, in even the most distressed segments of the county.